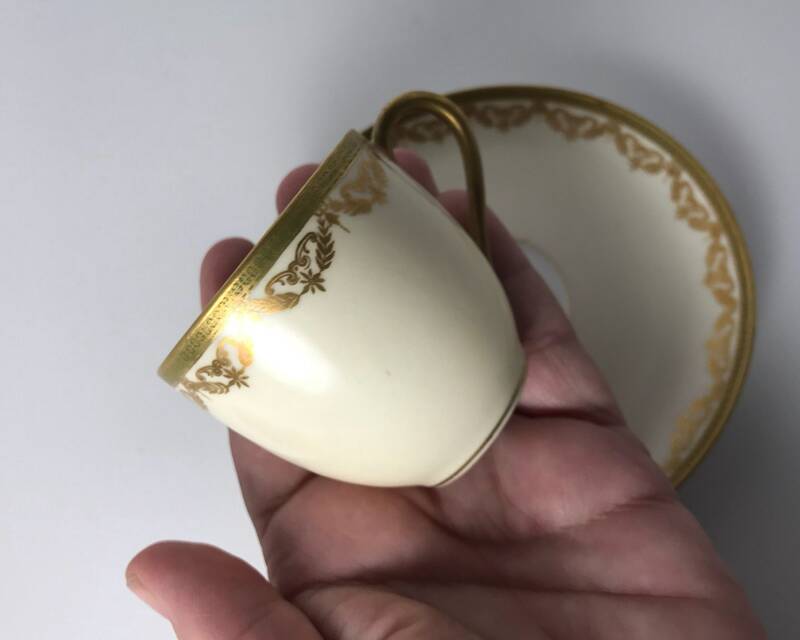 Antique Limoges France Porcelain Demitasse Imported by Famous San Francisco Department Store Raphael Weill & Co - "The White House"
A delicate Limoges, France porcelain demitasse, cream colored and tastefully embellished with gold gilt around the rim and handle - the pattern is very classic featuring scrolls and swag. 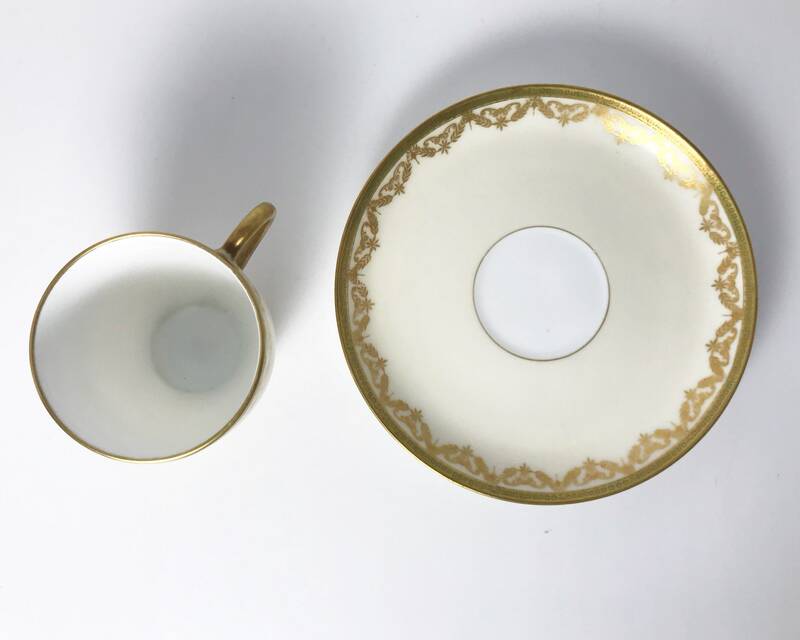 The handle is incredibly thin and delicate, showing off the craftsman of the Limoges potters that made it. 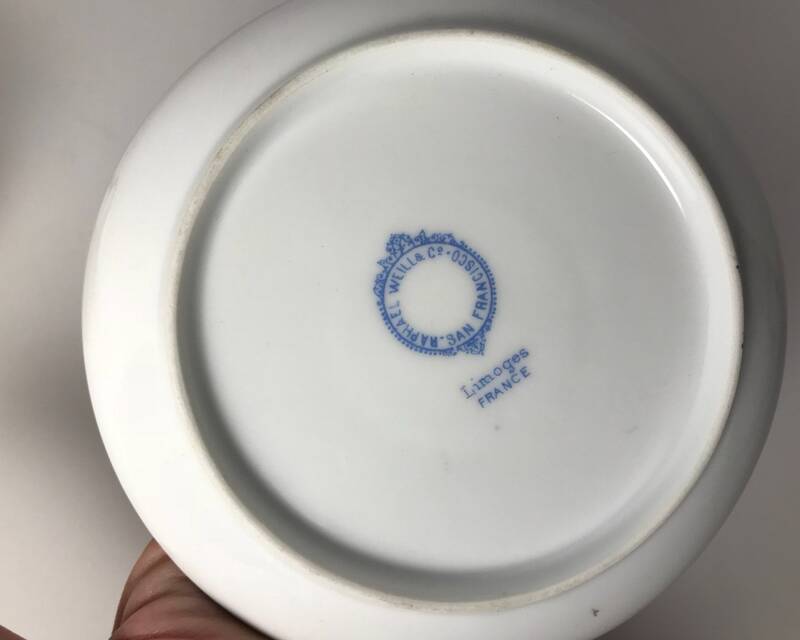 On the bottom it is marked "Limoges, France" and "Raphael Weill & Co, San Francisco" making it a little piece of San Francisco history as well. French Raphael Weill became a partner in a San Francisco dry goods store in 1857 just three years after moving to SF. By 1885 he was owner and his name was on the masthead, and in 1906 he built a white palace for his goods - what became an illustrious department store nicknamed "The White House" - it was an San Francisco icon until the sixties. 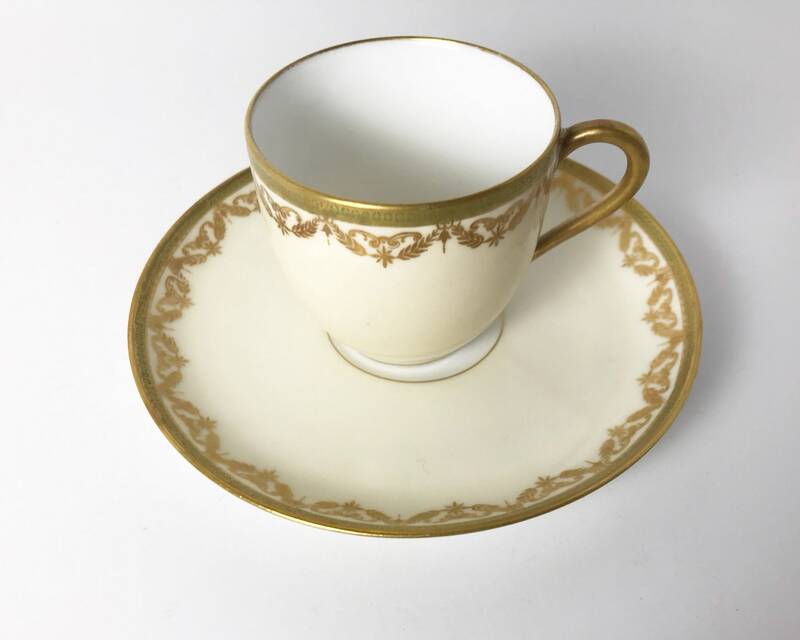 His partners were also french and so they favored the finest products that France could offer - hence Limoges porcelain for their housewares. The White House was known for its impeccable customer service and exquisite goods imported from France. Two of the most luxurious stores of the time, the City of Paris and the White House, had their roots in the splendid French style that was reflected in their Beaux Arts architecture and business approach. 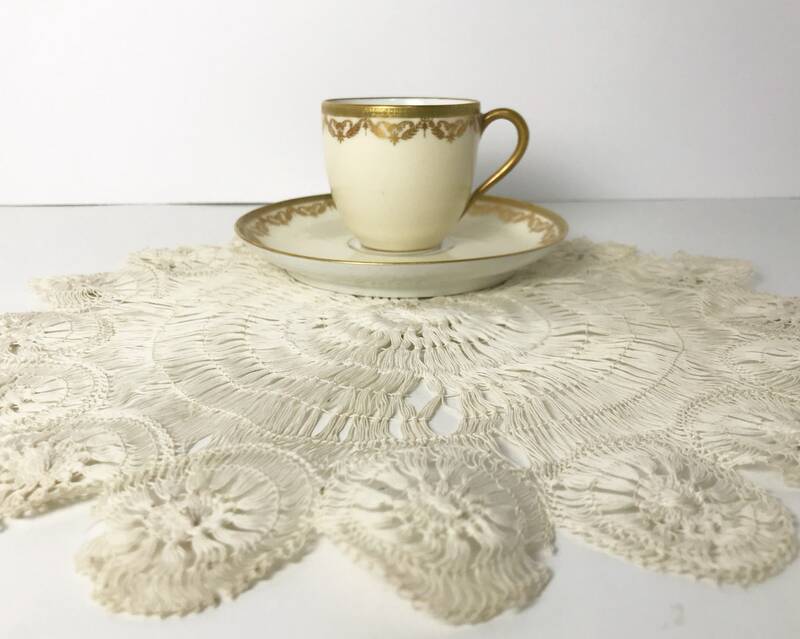 The White House boasted a lavish Parisian style tearoom that was a social center, and the art galleries and lectures at the store were renowned. 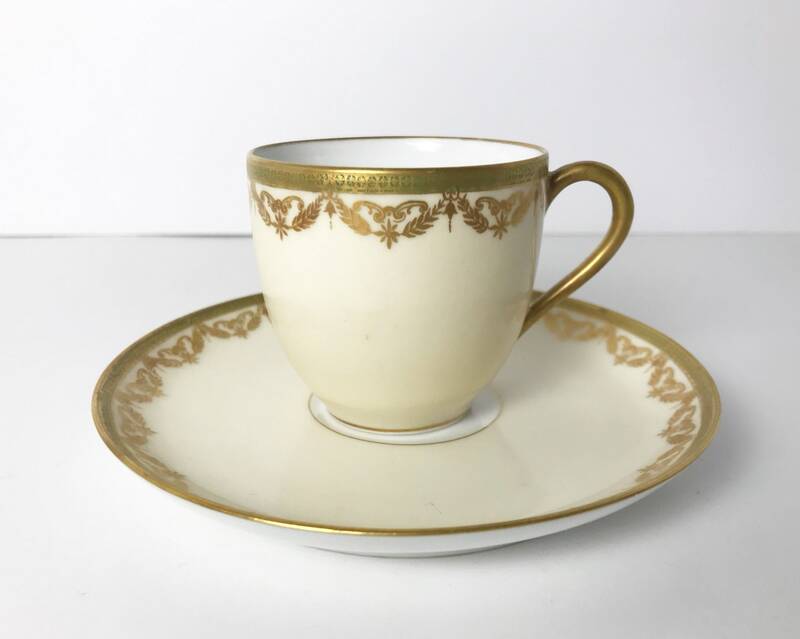 CONDITION: The cup and saucer are in excellent condition with no chips, nicks, or scratches. The gold gilt is also in exceptional condition. 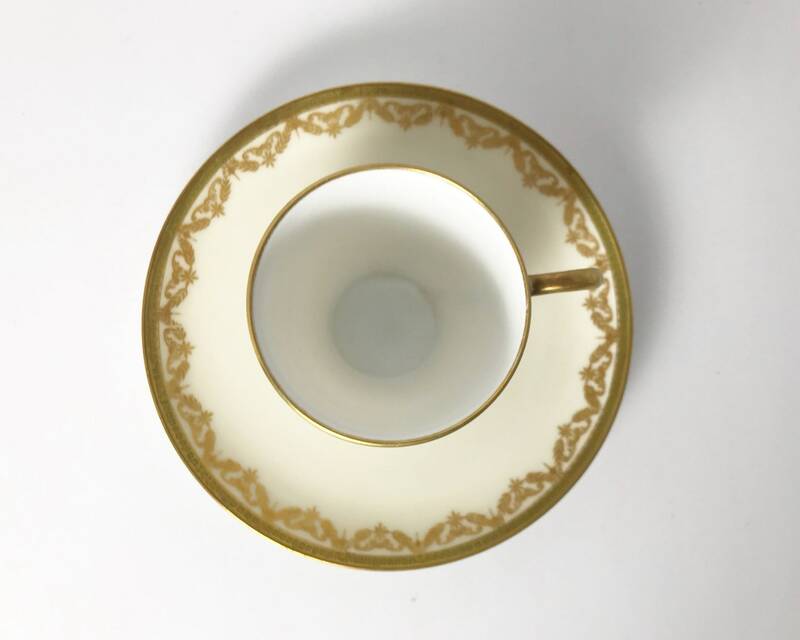 There is a tiny dimple in the saucer, an imperfection in the china from the time of manufacture. 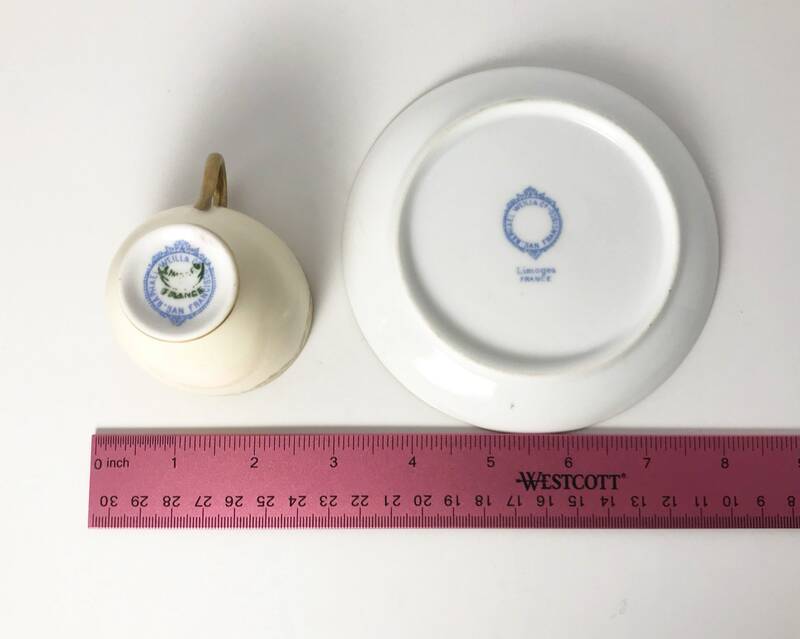 SIZE: The cup measures 2 1/8 inches and the saucer is 5 inches wide.